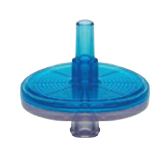 Millex syringe filter has 0.22 micron pore filters to eliminate bacteria. Inlet is female luer-lok and outlet is male luer slip. 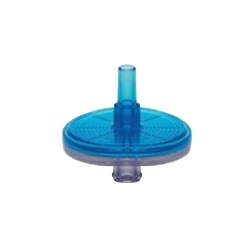 Measures 25mm in diameter and has hydrophobic PTFE membranes. Comes sterile, is single-use, and is blue in color. Manufactured by Millipore. Comes 50 per pack.